There are a lot of reasons to want to put more vegetables in your diet. Fiber, vitamins, minerals, and in many cases valuable blood cleansing antioxidants. Vegetables help fight chronic disease, cancer, and are a staple in the diets of the most fit and active people in the world. So why aren’t more Americans loading down their plates with greens? Or even reds, oranges, and purples for that matter. We all want to be healthy, and yet we avoid the very foods that help us achieve our goal. The answer to getting more veggies into your diet, may lie in sneaking them in. A lot of vegetables are not naturally found in convenient form. It’s one thing to throw a banana in your gym bag and hit the road, but a beet is going to be a little harder to consume on the run. We are a busy society who tend toward quick and easy, as opposed to slow and laborious. If we’re going to get our “5 a day,” the veggies may have to adapt to us! 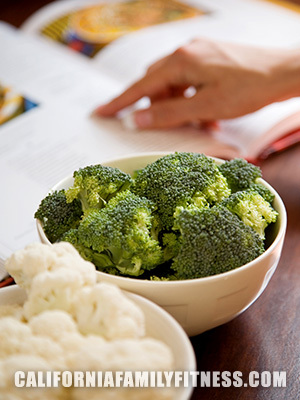 Here are 5 quick and easy ways to incorporate more natural goodness into your meals. You may not even notice they’re there! 1. Super Shakes: A shake for breakfast is a quick way to get a whole lot of nutrition in quick, convenient form. An easy combination that tastes great is protein, banana, honey, peanut butter, and spinach. Yes, I said spinach. You can stuff a whole 2 cups of spinach in there and not even taste it. Peanut Butter does a great job of masking earthly flavors like spinach, and kale. Just ignore the green hue; you’ll get used to it. 2. Upgraded Salads: Swap Iceberg Lettuce for Kale: Iceberg lettuce is a great crunchy lettuce, but it’s nearly void of nutrition, and you can’t premake a salad with it because it just won't keep! Kale, on the other hand, is a super rich form of fuel, and keeps wonderfully in the fridge. You can make, and dress a kale salad that will still be good to eat three or four days later. 3. Sophisticated Sandwiches: A sandwich makes a stellar portable lunch option, but don’t slide that tiny slice of tomato in between a piece of deli ham, and one thin layer of lettuce, and call that a “healthy” lunch. There are a myriad of ways to make your sandwich stand out as a real powerhouse meal. Add spinach leaves, instead of lettuce, and pile it high. 4. Smarter Spreads: Portability makes sandwiches and wraps a really popular option among the busy masses. Spreading mayonnaise on the encapsulating vessel makes it slightly less appealing to the health conscious consumer. Ditch the mayo and substitute mashed up avocado. It’s creamy, rich, and the healthy fats will help support your brain and endocrine function. 5. Pass the Hummus: Dipping is an American pastime. We dip chips in salsa, fries in ketchup, and hot wings in ranch. Occasionally the health-conscious american can even be tempted to dip a vegetable in something, but it’s usually in buttermilk ranch. Stop! There’s a better way! Try dipping your carrots, snap peas, and broccoli florets in hummus. It’s creamy and satisfying, and there are a variety of enticing hummus dips available on the market today. Since beans fall under the vegetable umbrella, you’re getting great nourishment value for your consumables buck. And the bonus? It tastes great. With all the easy ways to get more natural, healthy foods into your diet, it should be a snap to get yourself, and your family, eating more veggies, and feeling great. Slip a little extra nutrition in your lunchbox, and feel great about your day!